Not everyone in Japan loves Nintendo. Some people hate Nintendo. Like, really, really hate Nintendo. And online, those folks have nicknames for Nintendo diehards. Online in Japan, mean nicknames aren't unique to Nintendo fans! Previously, Kotaku covered the mocking monikers given to Sony and Xbox fans on Japanese gaming forums and in blog comment sections. Nintendo fans are teased with several nicknames; one of them can even be said in different ways. Originally, the dig against Nintendo fans was calling them "Nintendo shinja" (任天堂信者), with "shinja" (信者) meaning "believer" or "follower". Fans of other consoles are given similar nicknames; for example, Xbox fans are also called "Xbox shinja" (Xbox信者). The "Nintendo shinja" morphed into "ninshin", but is written with the kanji characters for "pregnancy" (妊娠 or "ninshin"), making it a pun of sorts. Haters can use the "ninshin" (妊娠) nickname to call a Nintendo follower and at the same time cover the insult with an infantile nuance. There is, however, another explanation that says the pregnancy nickname is from another nickname: "Nin-God" (任神 or "Ninshin"). The character for god or deity (神 or "kami") can also be read as "shin". For example, it is the first character in the word Shinto (神道). The inference is that these fans view Nintendo as a god. Note that "Nin-God" (任神) isn't actually a real word, per se. This is the little Nintendo fan character. Note the word "pregnancy" (妊娠 or "ninshin") on the little guy's hat, and his rotund face. ASCII art versions of this character appear in Japanese gaming forums and blog comment sections. 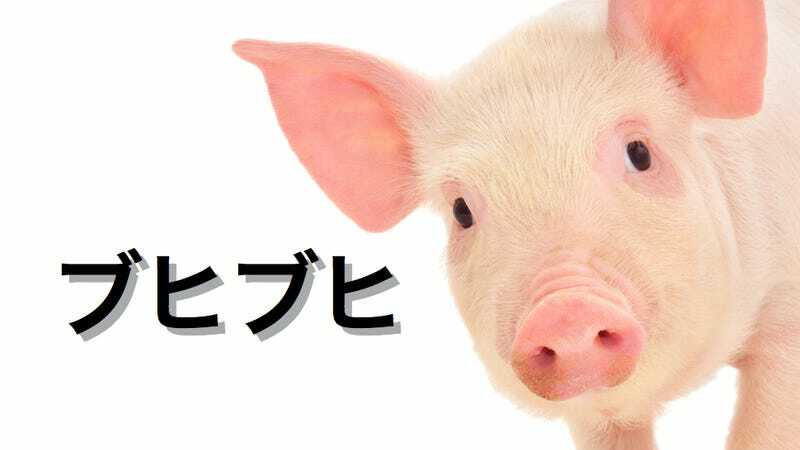 The other online nickname for Nintendo fans is calling them "pigs"—literally "Nin-pig" (任豚). This is another wordplay of sorts (yes, Japanese people love wordplays). "Nin" (任) is the same kanji character in Nintendo (任天堂)—and it's also a kanji character with rich organized crime associations. The second character represents "pig" and can be read as "buta" or "ton". Since it can be read as "ton", it does seem like a wordplay on the "ten" (天) character in "Nintendo". The result is "Ninton". Geddit? Yet, another explanation is that "Nin-pig" evolved from another religious imbued insult that says Nintendo's Buddhist fans see the game maker as like the Buddha. The result is a shortened phrase "Nin-Buddha" (任仏陀), which was then shortened to "Ninbuta" (任豚) or "Nin-pig". Because Japanese characters often have multiple ways they can be read, it's actually somewhat unclear how this swine insult should be read. There are even threads on 2ch, Japan's largest forum, in which people ask which reading of the insult is correct, Ninbuta or Ninton. Some say "Ninbuta", while others say it's "Ninton". Whichever you chose, the insult is the same: Nintendo swine. In the past, people have even uploaded photos of overweight individuals either playing Nintendo hardware or wearing Nintendo-themed items. It's not cool to make fun of people's weight! This, however, is done to reinforce the stereotype that all Nintendo fans are heavy. And it's not just assumed that Nintendo fans are overweight in Japan. Online, people also upload photos of obese foreign Nintendo fans to drive home the stereotype. Japan has the lowest obesity rate in the industrialized world. A lot of that is, of course, based on diet. There are also guidelines about obesity, so lots of people watch their weight very closely. Others say this causes discrimination. It does create an environment that some would probably say isn't exactly tolerant to folks of all shapes and sizes. That being said, recently "larger" sized variety show celebrities are becoming increasingly popular, which might reflect the country's own (somewhat) widening waistline. Still, dubbing Nintendo fans pigs or babies? This is not very nice stuff! But that's the point. These are insults designed to disparage. If Nintendo fans are called this, Xbox fans are called gropers, and Sony fans are called cockroaches, at least all the online nicknames are unpleasant, each in their own way. Internet forums aren't for the weak of heart, and Japan is no exception!